First Reformed (film, 2017). A 2017 American drama film with "R" rating by A24. Directed by Paul Schrader. Official Trailer. 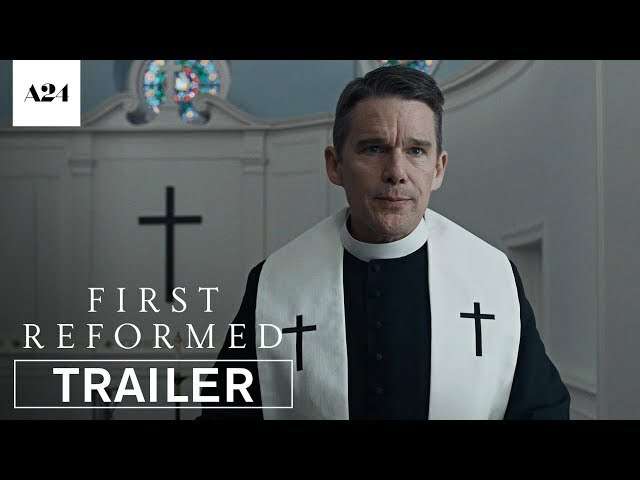 First Reformed is a 2017 American drama film directed by Paul Schrader. 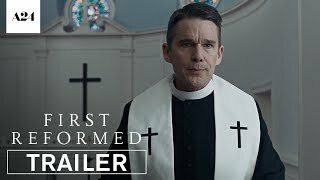 First Reformed | Official Trailer HD | A24. Reverend Ernst Toller of the First Reformed Church in Snowbridge, New York is writing down his thoughts in a journal for a year, after which he intends to destroy it. First Reformed, a 250-year-old Dutch Reformed Church which was once a stop on the Underground Railroad, faces dwindling attendance under Toller's leadership, which has taken the church in a new direction and away from its historical focus on Reformed theology; today it serves mostly as a tourist attraction. In trying to manage his own life issues, such as his alcoholism, Toller seeks a deeper experience through reading Roman Catholic writings (Thomas Merton and G.K. Chesterton) and mystical books (The Cloud of Unknowing). This new spiritual direction leads him to seek support from a nearby charismatic megachurch, Abundant Life, which owns First Reformed. Toller, a former military chaplain, is also struggling with the death of his son Joseph, who was killed in the Iraq War; Toller had encouraged him to enlist. He meets Mary, who is seeking counseling for her radical-environmentalist husband, Michael. He further challenges Toller's beliefs. Michael explains that he wants Mary to get an abortion, because he does not want to bring a child into a world that will be rendered almost uninhabitable by climate change. Mary finds a suicide vest belonging to her husband in their garage. Toller takes it, promising to counsel Michael about it. Mary and Toller discuss going to the police, but Toller feels it would dramatically worsen Michael's state. Just before their next appointment, Michael sends Toller a text message asking to meet in a local park. Toller arrives to find Michael dead of a self-inflicted shotgun wound. In accordance with Michael's will and testament, a service is held at a local toxic-waste dump, where his ashes are scattered. Meanwhile, plans are underway to celebrate the sestercentennial of First Reformed with a service attended by the mayor, governor, and a notable industrialist, Edward Balq, a key financial backer of Abundant Life. At a meeting in a diner, Toller argues with Balq over climate change after Balq finds Toller honoring Michael's will a political act: Balq dismisses it as "complicated", but Toller sees it as a straightforward matter of Christian stewardship. The film First Reformed was scheduled to be released by A24 on August 31, 2017 (Venice) and on May 18, 2018 (United States). The duration of the film is 113 minutes. With a budget of $3.5 million, the film grossed over $3.8 million. First Reformed got high rating from critics. The audience also likes the film.